Everyone is welcome to use the Riverside County Library System. 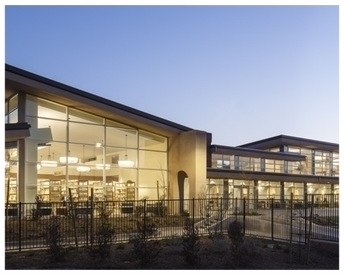 To get a free library card, you will need to show either a valid California Driver License with a current address or two forms of identification, one showing who you are and the other indicating your current California mailing address. Out-of-state visitors may purchase a card for $10. Children 15 and under may obtain a library card by returning an application form signed by a parent or legal guardian. Stop by one of our 35 locations and get yours today! The Riverside County Library System has received a Library Services & Technology Act (LSTA) Grant to establish a Veterans Resource Center, a resource dedicated to helping veterans and their families.The Centers are located at the Mead Valley and Palm Desert Libraries. The centers provides books, DVDs, and pamphlets on topics such as: transitioning from military to civilian life, finding jobs, surviving change, guides to veterans benefits, managing post-traumatic stress disorders and more. It also provides trained volunteers ready to connect veterans and their families to benefits and resources. For more information on all of our Veterans Services, click here. Riverside County Library System Adult Literacy Program provides adult literacy services to our communities through one-on-one literacy tutoring, English-as-a-Second-Language classes and family literacy events. The program is supported by funding from the California State Library Literacy Services, the California State Department of Education, private organizations and businesses in our communities, Riverside County and through the generous support of our many volunteers throughout the County. For more information on this program, click here. Riverside County Library System, in partnership with the California State Library and Gale, part of the Cengage Learning, offers adults the opportunity to earn an accredited high school diploma and career certificate online through Career Online High School. The library's pilot program provides a limited number of scholarships to qualified adult learners who are looking to expand their career opportunities, prepare for workforce entry and continue their education. Career Online High School through the Riverside County Library System is open to eligible Riverside residents. Applicants who successfully complete an online self-assessment and prerequisite course, followed by an in-person interview, will be considered for enrollment. For more information on our online diploma program, click here. Looking to volunteer in your community? Riverside County Library Services is always on the look out for volunteer tutors for our literacy program. Next to the adult learner, the tutor is unquestionably the most important person in the Literacy Program. As a volunteer reading tutor, you are the pivotal force in the Literacy Program's design to enable adult learners to function effectively in a society where reading, writing and computing is of crucial importance. We believe that your decision to become a volunteer tutor will be personally rewarding. Most experienced tutors have told us that they believe they have received as much from the program as their adult learners. Click here to apply. With 35 library branches, Riverside County Library System has a location for all residents in Riverside County. RCLS has library branches that stretch from Norco to Desert Center, covering over 150 miles and over 2 million residents. Click here for a complete list of Branch locations.